This page last revised August 17, 2015. 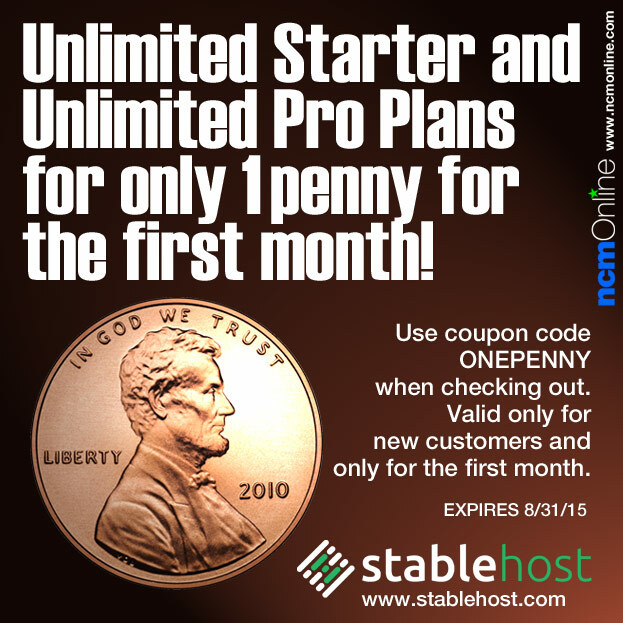 Shop now and get StableHost Unlimited Starter and Unlimited Pro plans for only $0.01 for the first month. Use promo code ONEPENNY in your cart when you order. Valid only for new customers and only for the first month. Expires August 31, 2015. Discounts and promotional codes are reserved for first-time accounts or first-time customers only and may not be used towards the purchase of additional hosting services unless otherwise specified. Certain elements of this page: © Copyright 2015 Stable Host, LLC. All Rights Reserved.